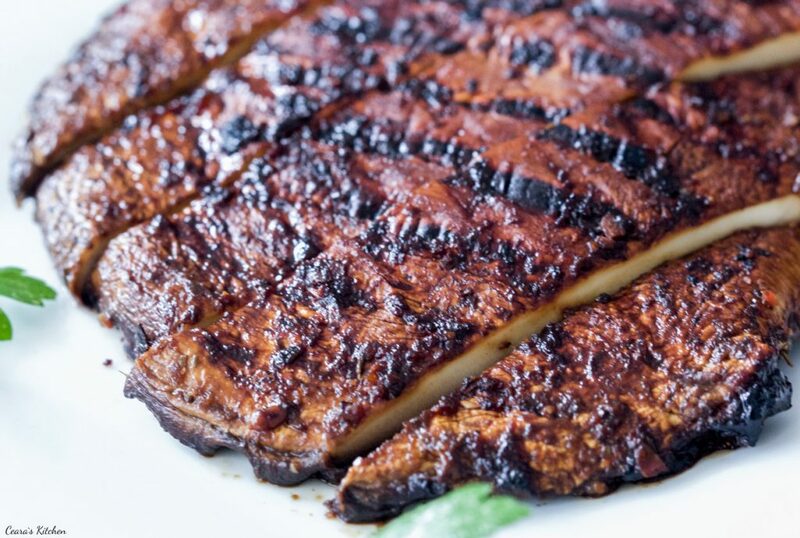 Thick, juicy and perfect Vegan Steaks made with a garlic-soy marinade and a hint of maple syrup. These steaks are perfect on the BBQ, with pasta, or as a side with just about everything! Can you believe it’s already September?! What are you guys up to? Is it back to school in your home? It’s like I blinked and the Summer is already (almost) done. 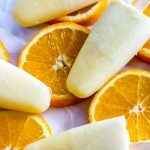 Now that the Summer is wrapping itself up, I knew I couldn’t wait until next Summer to share this recipe with you. 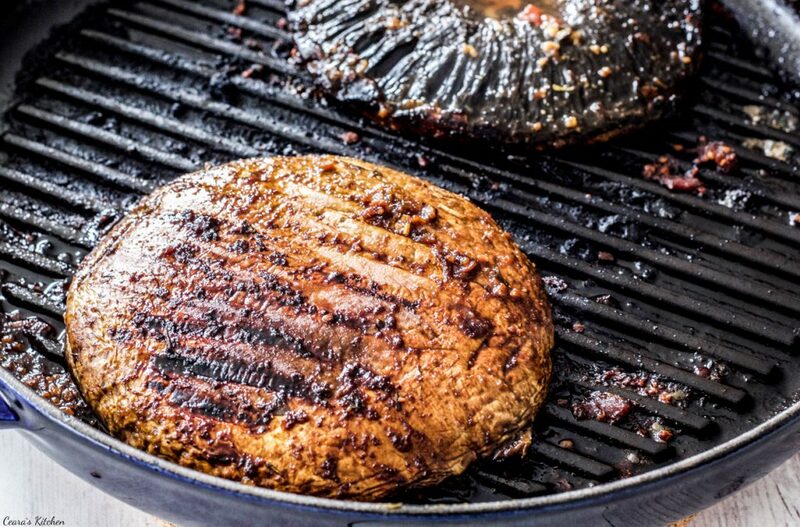 Because come Summertime, there’s nothing like good Portobello Steaks on the BBQ. Marinate your Portobello Steaks in an easy-peasy SIX ingredient, homemade marinade. 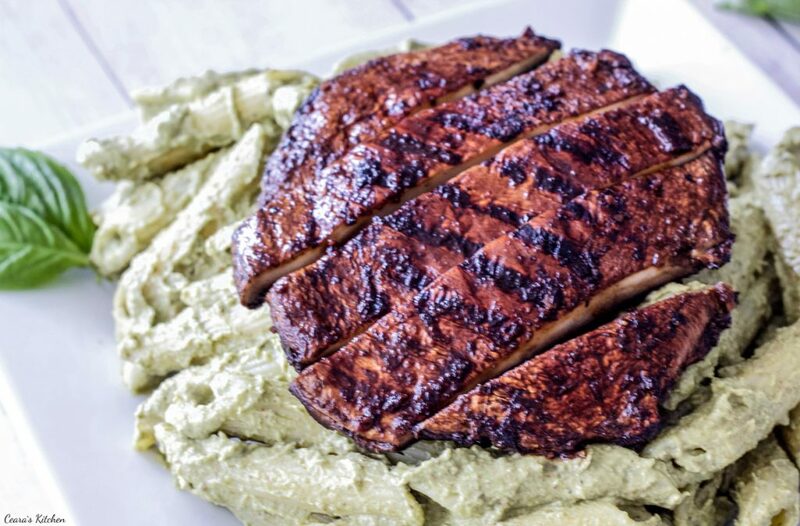 Using marinade from scratch makes ALL the difference in this recipe. And the best part? 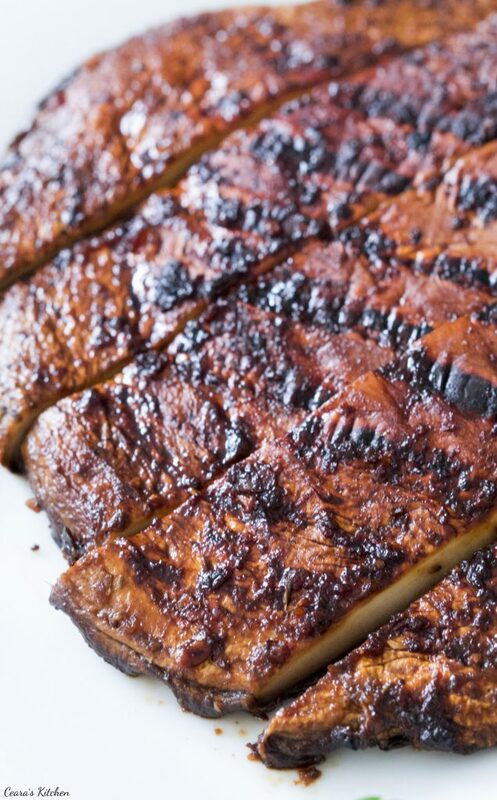 You can save the leftover marinade for later since you’re using it to marinate VEGAN steaks. Yup. Grill the steaks on your at home grill or on the BBQ. 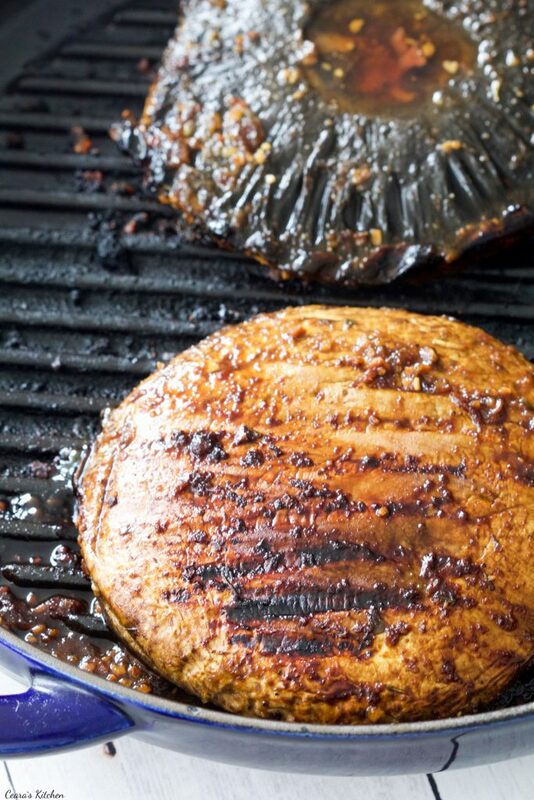 Brush, brush, brush the Portobello Steaks with the marinade as you grill them. 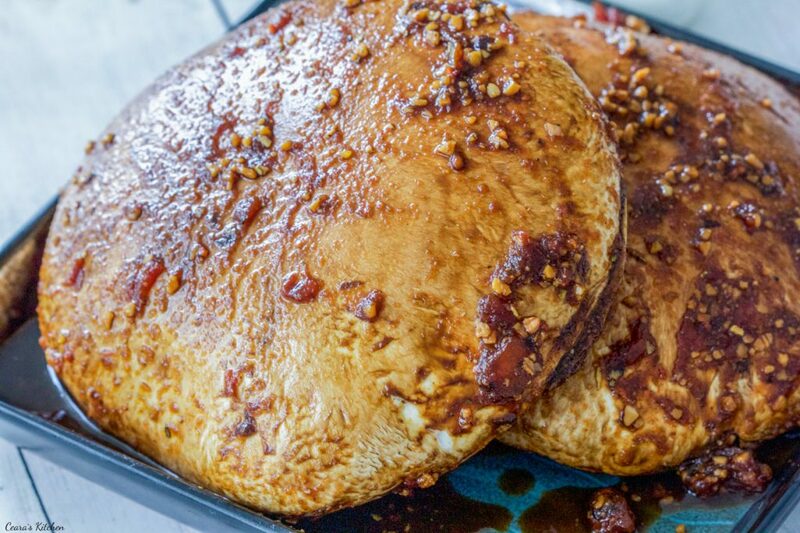 If you make these Portobello Steaks at home, take a photo and tag me #CearasKitchen on Instagram or leave your feedback below. And serve with your favorite pasta, side, in a bun as a burger… however you like! Wishing you a wonderful long weekend! Thick, juicy and perfect Vegan Portobello Steaks made with a garlic soy marinade and a hint of maple syrup. These steaks are perfect on the BBQ, with pasta, or as a side with just about everything! Remove the stems of the portobello mushrooms. Mix the remaining ingredients together (soy sauce through to salt and pepper in a large and deep bowl. Toss the mushrooms in the marinade. Cover and leave to marinate for 1 hour (up to overnight) in the fridge). Every so often, turn the mushrooms over in the marinade so they all get evenly coated in the marinade. Warm a large grill (or bbq) over high heat. Spray grill with a non-stick cooking spray. Grill the mushrooms on each side for about 3-4 minutes (7-8 minutes total). Brush the mushrooms with the marinade while grilling. When the mushrooms are nicely grilled and cooked through, remove from the grill and serve warm! I love these portobello burgers with mashed potatoes, pasta, and as burger in a bun. 1) For this recipe to be 100% oil free, omit cooking spray. Made these last night and they were delicious! I paired them with cauliflower alfredo pasta and it was a perfect combination. 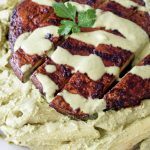 Thank you for a delicious, healthy recipe! 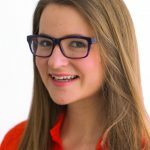 You’re one of my favorite bloggers. This was really good. <3 <3 Thank you so much!!! Glad you enjoyed the vegan steaks! Oh gosh! this looks so good! Yum!! Can’t wait to try. Just found your blog. I want to try this recipe. Can I skip the molasses? Was there a certain temperature to get the Mushrooms to, to know if they were done? 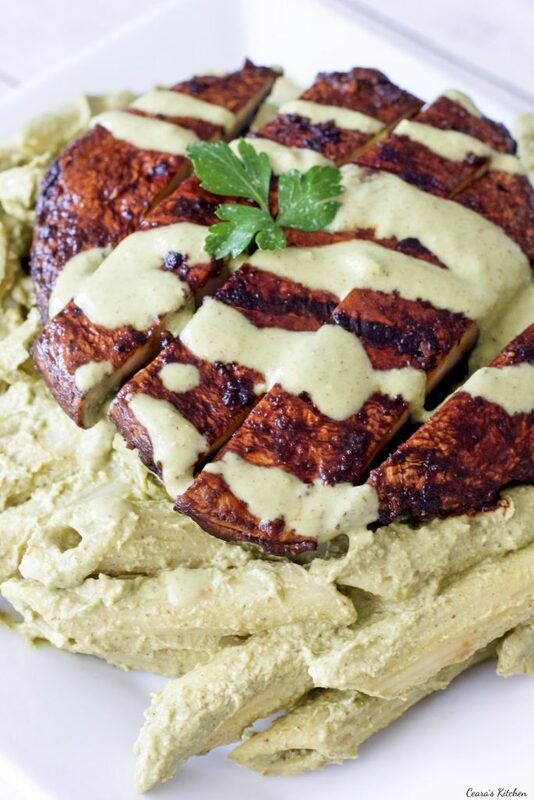 What is the delicious looking bed that you’re portabella is laying on, and what sauce is on top? these look amazing! What is the sauce on top of the mushrooms? Is tomato sauce the same as tomato puree?